If you’re looking for the best sports universities, you should definitely include Leeds on your list. At Leeds, there is an abundance of sports to get yourself involved in: there’s something for everyone! From those who have never stepped on a sports field to elite-level players, no matter who you are they’ll be something that can tickle your fancy. As I settle in to my third year in Leeds, I have come to the realisation that getting involved in sport was one of my best decisions at university as I’ve made plenty of great new friends and made memories with them that will stick with me forever. How good do I have to be to get involved in university sports? You don’t have to be an elite sportsperson to get involved at Leeds. One of my favourite clubs I’m aware of is the ‘Sport for Non-Sporters’ Society. They play different sports every week and are aimed at those who have an interest in sport but don’t really fancy themselves as elite players. I have a friend who goes along weekly and she seriously recommends it: not only do you get to have fun playing the sports, you meet new friends, have some great nights out, and it’s a great decision to take for your health and wellbeing. It’s also the cheapest sport society at only £20 per year! The Leeds Give-It-A-Go (GIAG) programme is also fantastic: different societies organise events during which anyone can go along and … have a go! I’d recommend getting a few friends together and going along to one you’ve never played before; I played ice hockey for the first time with GIAG this year and loved it. I also love some of the more niche sports available. If you’re a big Harry Potter fan then Quidditch can’t be missed out on – the Leeds Griffins are currently ranked 7th in the country (yes, they’re just as organised as the football team!). But don’t worry if you don’t fancy the competitiveness, they’re just as welcoming to casual players. Korfball and Ultimate Frisbee are other examples of sports I didn’t even know existed until I came to uni. The PhatSoc (Physical Health and Training) is also open to those who simply want to improve their health and fitness. Inter-mural events also happen: you can play for your course (or even halls of residence!) against other courses in a variety of sports in organised leagues. What about university sports teams? 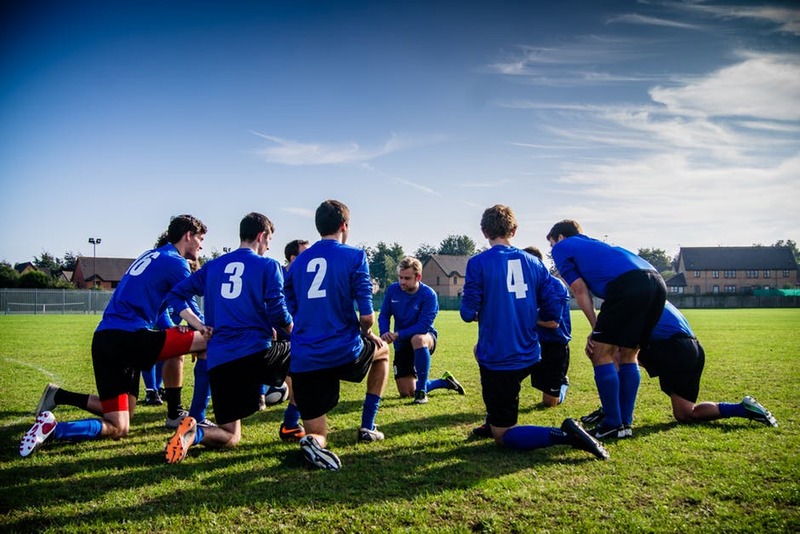 If you’ve played a sport regularly and want the chance to represent your university across the country, then playing for the team of your choice is great fun. I currently play for the university football team and while it is a big commitment, you get so much out of it. We train and hit the gym four times per week and play on Wednesdays. Regular socials where we celebrate/ drown our sorrows (depending on the result) are organised every Wednesday for after our matches. This is similar for most other sports at uni. Let me stress though, the standard is very high, and matches are taken seriously – it’s up to you if you find this appealing! Cost is also something to consider for those wanting to play at performance-level – my football membership is £90 for the year, and other costs on top of that (equipment, travel etc.) can bring the price to around £200 across a year. But if you ask me, it’s more than worth it. What is the university sports centre like? The facilities here at Leeds are fantastic for just about every sport: the new £5 million (!) Brownlee centre, developed mainly for the triathlon, opened this year. As someone with a soft spot for a well-groomed football pitch, trust me when I say that the pitches we play on will be the best you’ve ever seen. The Edge, which is the University’s on-campus sports facility is excellent: there are swimming pools, squash courts and five-a-side pitches, all of which are world-class: several international Olympic teams trained here in preparation for London 2012. While our facilities are great, I feel like I have to say that university sport in the UK isn’t taken quite as seriously as what you in the movies in the US: there, unfortunately, aren’t any 90,000-seater stadiums in Leeds, nor do we have jets flyover before our football matches. However, we do get a taste of this in one of my favourite events on the sporting calendar: Varsity. The age-old rivalry between the University of Leeds and Leeds Beckett is realised on a day in which nearly every sport team at the university plays their Beckett counter-parts in a day of competition, pride and downright fun. My football team’s last-minute goal which clinched a 2-1 win this year in front of a crowd of hundreds will go down as probably my favourite sporting moment ever. Safe to say that the celebrations that night were memorable. So, if you were wondering as to what you could be getting yourself involved with at university, I hope I’ve cleared things up a bit. Like I say, it’s more than worth it having a bash at a sport even if you don’t want to be playing week in, week out. But if you do like the sound of regular play, get yourself involved. One final word of warning though, mum’s not here to wash your kit! Written by - Sam H.